Summer is just around the corner and the temperatures across the country have already started to rise. For many of us, it is a welcomed change from the long cold winter. It also means that expensive cooling bills are coming or worse – the dreaded fight over the thermostat in your home or workplace. When it comes to temperature control, even very small adjustments can have significant impact. For each degree you adjust your thermostat, it is about a 3% cost savings. If your cooling bill is $200 during the summer months, that translates into about $6 per degree per month. Great, so I will turn my thermostat up 15 degrees, save $90 per month and have my house or office feel like a sauna! Yeah, we agree that doesn’t sound all that pleasant. The key to adjusting your thermostat is to still keep the space feeling comfortable. This is where air circulating fans come in. We first must address a myth that is out there. Standard air circulating fans do not cool the air. The only way air can be cooled is if some type of refrigerant is added to the mix. What air circulators do is make your body feel like it is being cooled. Think of it this way. If you are outside on a hot day with no breeze at all it feels very hot. Now as soon as a slight breeze comes along, it immediately feels cooler. The air has not changed temperature but the introduction of moving air across your skin gives your body the sensation that it is cooler. There are complicated heat transfer and thermodynamic reasons for this but we will leave that to the scientists to explain. For our purposes we just need to agree that when air blows across our bodies, it feels cooler. 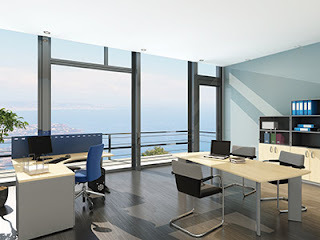 By creating air movement in your home or workplace, you can have the temperature set higher but still be comfortable. Another benefit of using air circulating fans are they distribute the cool air from an air conditioner evenly. Almost all homes or workplaces have an area that is always warmer than the others. Using an air circulating fan will distribute the cool air evenly from room to room. This can take stress off your HVAC unit in that you will not have to run it longer than it needs to just to get that one area cool enough to be comfortable. Wait a minute, don’t air circulating fans use electricity, so how much am I really saving? Air circulating fans do use some energy. However the amount of energy it takes to operate an air circulating fan compared to an air conditioner is significantly less. A typical air circulating fan uses between 40 watts for a typical office fan to about 350 watts for a large industrial fan that would be used in warehouses or manufacturing facilities. A typical household air conditioner will use between 1000 watts for a single window unit that can cool 1 or 2 rooms to 3500 watts for a central air unit. If using an air circulating fan allows you to raise the thermostat 3, 4 or more degrees that could mean your air conditioning units operates an hour or so less a day which can really add up over the course of a month or summer – especially in commercial and industrial setting.